Drupal is an open-source content management system (CMS) that is behind some of the most visible sites on the web. Since its creation in 2001, Drupal has established itself as the pre-eminent system for delivering content reliably. What makes Drupal different from WordPress or Joomla is its flexibility. The efforts of Drupal's vibrant developer community have resulted in a rich feature set and an unmatched level of customisation. Some commercial products are able to offer comparable functionality, but they come with hefty price tags. In contrast, Drupal is free, which means no software licences nor maintenance fees. When it comes to raw performance, even commercial competitors have trouble keeping up with Drupal. That's why it's been trusted by the likes of The White House, NASA and The Economist to deliver content quickly and reliably to the web. To illustrate its widespread acceptance, we present a list of 10 well-known organisations that have chosen Drupal across a variety of sectors. NASA (Science) By moving its 110 websites to Drupal last year, NASA benefitted from an immediate cost saving of 40%. Twitter Dev (Technology) Twitter Dev serves a huge community of developers using Drupal. Société Générale (Finance) The website of the oldest French bank was developed on Drupal, from its original version to the current mobile one. Security is of paramount concern to financial institutions, so SocGen's choice of CMS is a telling one. The Red Cross (NGOs) Building non-governmental organisations' websites generally come with challenges such as low-bandwith accessibility, crowdsourced content and multilingual versions, all of which Drupal overcomes admirably. Harvard University (Education) Drupal helps high-education institutions comply with campus-wide standards, branding, and mobile accessibility. As a result, 71 out of 100 top universities have made it their choice. The Economist (Publishing) This esteemed weekly moved to Drupal because their existing platform wasn't able to support the traffic generated by its readers. The Economist has 20 to 30 million views per month, over 3 million registered users and a posting rate that exceeds one comment per minute. NBA (Sports) The NBA's website features vibrant and interactive content: game schedules, photo galleries, videos and even an online fan shop. 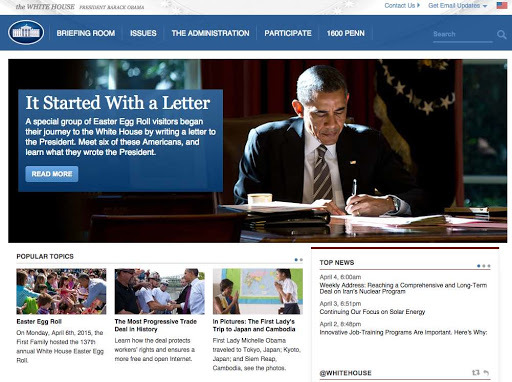 The White House (Government) Thanks to Drupal's high level of customisation, governmental institutions are able to use a mix of traditional and modern social features for their websites. IKEA (Consumer goods) The world's largest furniture retailer sets the bar high with its focus on design. McDonald's (Food and beverage) McDonald's Australia and McDonald's France have chosen Drupal as the foundation for their websites and mobile apps. The result is a user-friendly interface, allowing customers to order online and pick up meals at their favourite location. So if you're looking to create a personal blog, corporate website or online shop, Drupal should be on your shortlist, too.